Birds can be beautiful creatures--with some pretty quirky habits. Blue jays, for example, rub ants on themselves when they molt to soothe their skin. They can also mimic other animals' voices, such as a hawk's cry. 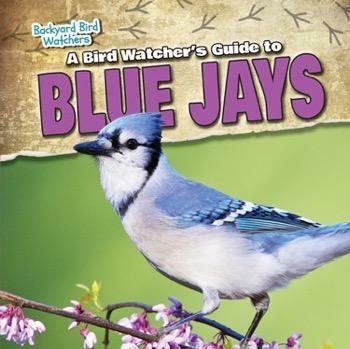 This volume, presented in journal format, offers a wealth of information about the backyard life of a blue jay. Science curriculum topics such as habitats, adaptations, predators, and more are included in this engaging account. Readers will want to begin bird-watching themselves after finding out more about this brightly colored bird.